Facts and history about Native American Indian stereotypes. Stereotypes relate to the generalized, unfair, oversimplified characteristics and fixed ideas about a particular group of people that held by a number of people. The early depictions of Native American Indians were as whooping, warlike savages who lived in 'wigwams', painted their faces, wore feather headdresses and hunted buffalo. American Indian Stereotypes were perpetuated by early Presidents, politicians, soldiers, journalists, artists, advertising men, movie men and writers of pulp fiction. American Indian stereotypes resulted in discrimination, prejudice, racism, misconceptions and ignorance about the indigenous tribes of North America. The widespread acceptance of American Indian stereotypes were fuelled by the concept of Manifest Destiny. The notion of Manifest Destiny encompassed the belief that it was the divine right of the American people, who believed that they were culturally and racially superior to other nations, to bring civilization and enlightenment to other races. This belief was perpetrated by early US Presidents and politicians who encouraged Westward Expansion. The famous Apache leader Geronimo appeared at the St. Louis Exposition with a "Wild West Show". 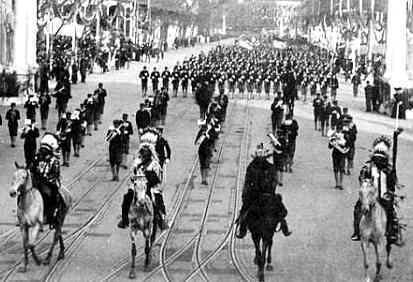 Geronimo also appeared in other Public exhibitions such as leading President Theodore Roosevelt’s Inaugural Parade in 1905. He was accompanied by other chiefs all wearing stereotyped clothing and headdresses. 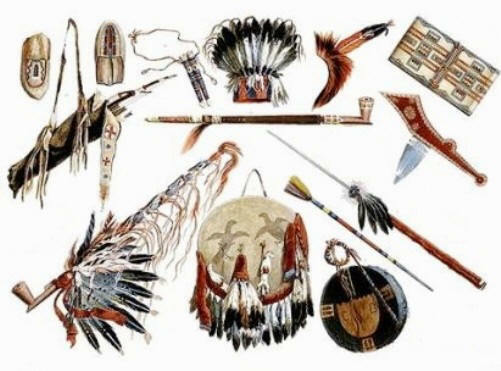 The following fact sheet contains interesting facts and information on American Indian Stereotypes.